Steamboat River Ranch is located inside the bend of the Elk River as it winds its way from its northern headwaters in the Zirkel Wilderness to its western confluence with the Yampa River. 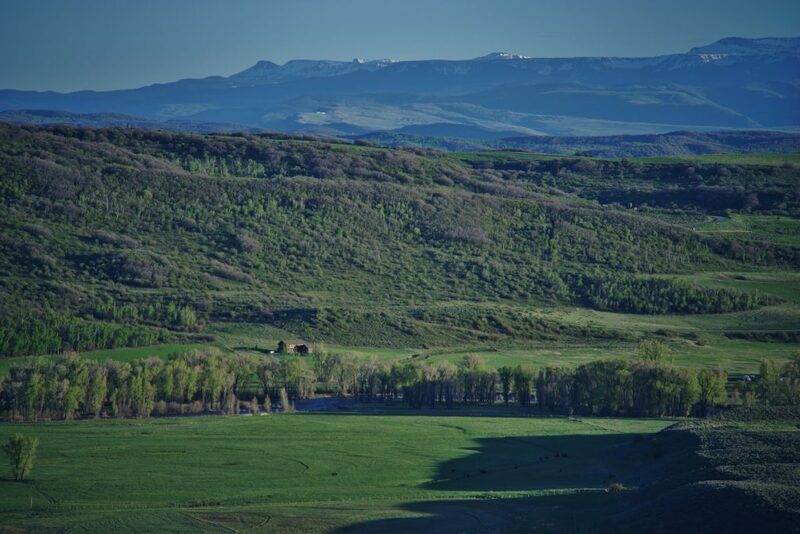 Fewer than 5 miles from Steamboat Springs, the ranch is easily accessed in all seasons via county maintained roads. 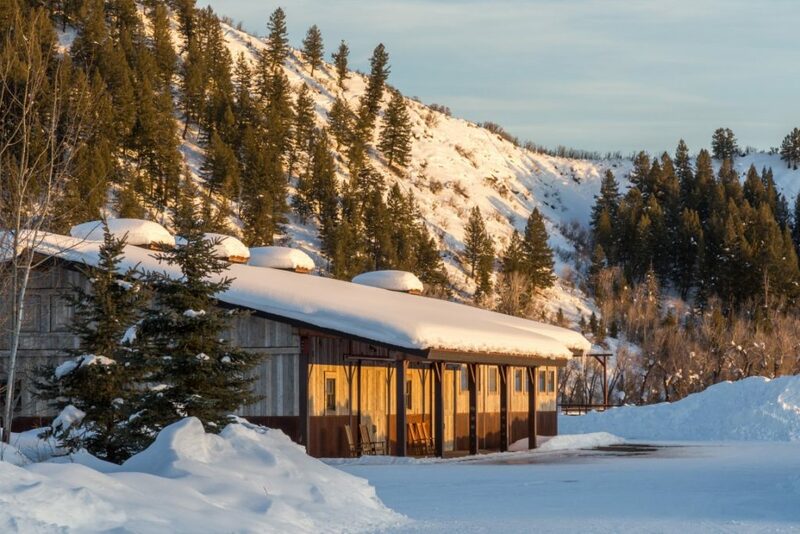 Bob Adams Field, the FBO serving private aircraft owners and charter companies in Steamboat, is 3 miles south of the ranch and the Yampa Valley Regional Airport with private and commercial air service is 20 miles to the west. 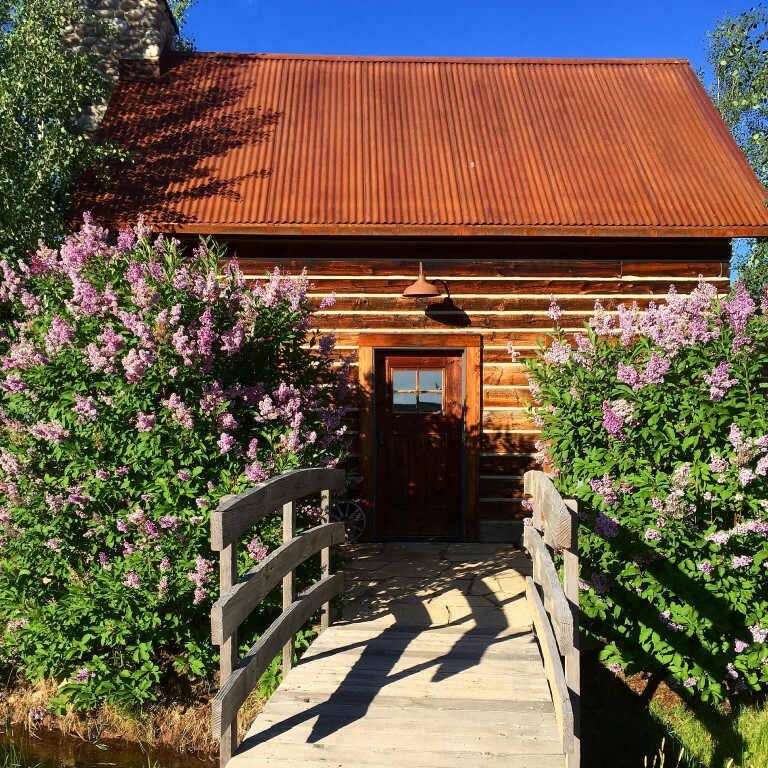 The million-plus acre Routt National Forest is across the street and extends into southern Wyoming for unlimited hiking and riding from the ranch. The ranch headquarters are located just across the private entry bridge that spans the Elk River. Tall cottonwood trees give way to immaculately maintained grounds flanked by lush irrigated meadows. 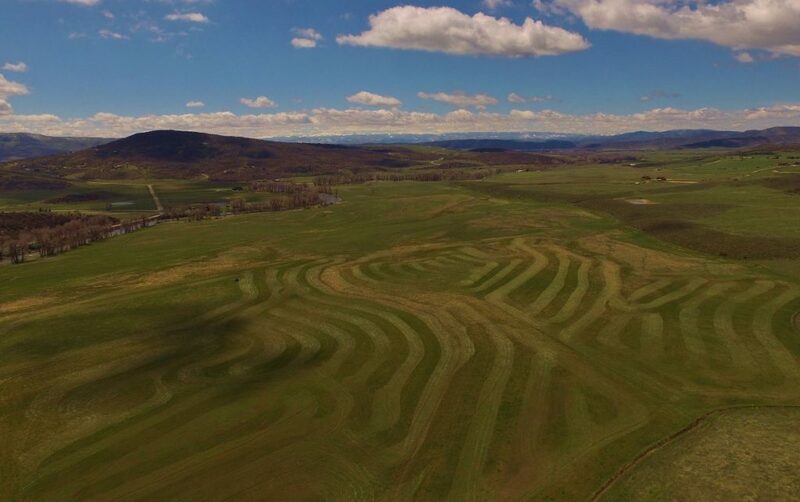 Comprising over 200 acres of flood-irrigated land, Steamboat River Ranch produces high quality native grass hay. The balance of the property consists of grazing land with a good mixture of grasses, forbs, and brush that attracts a variety of wildlife species. Beyond the improvements, a two-track road leads to a slightly elevated building site that overlooks the hay meadows and river corridor with direct views of the Continental Divide and the Steamboat Ski area. 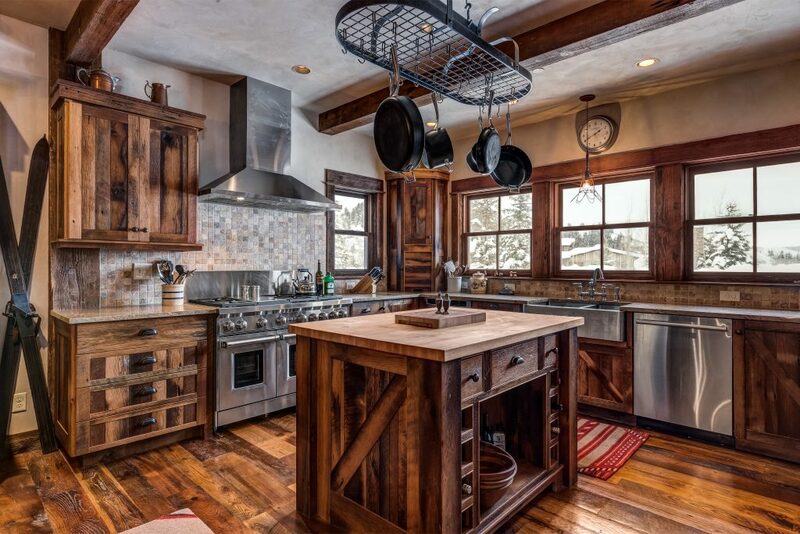 The improvements on Steamboat River Ranch are intelligently designed for ranch living. Top quality finishes enhance the attention to detail in every building. Careful planning is evident from the placement of the buildings to the use of new and salvaged historic materials to the layout of each structure. 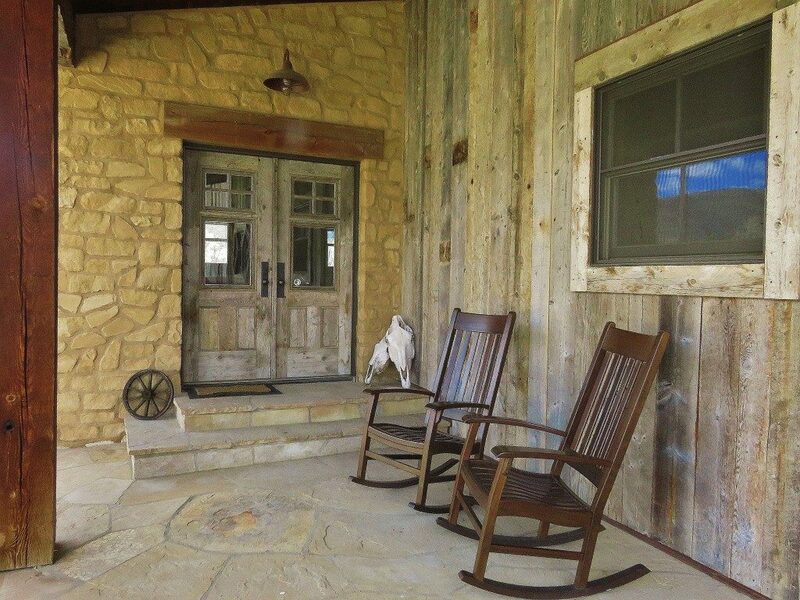 The main ranch house, modestly sized, is constructed with reclaimed materials from the original homestead. Venetian plaster walls form an elegant backdrop for the barn wood ceilings, river rock fireplace and top of the line appliances. 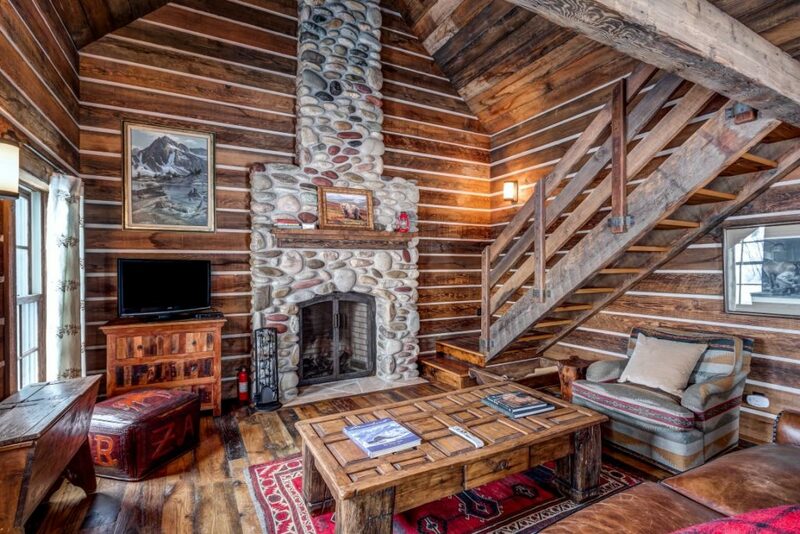 The nearby 2 bedroom, 2 bath cabin with massive beams and upscale western finishes sits at the edge of the tall grass meadows; the setting is completely serene. The comfortable ranch hand quarters are located in the barn upper level and are convenient to the livestock handling facilities. No expense was spared for the careful restoration of the historic Mystic cabin, originally constructed nearly 100 years ago. 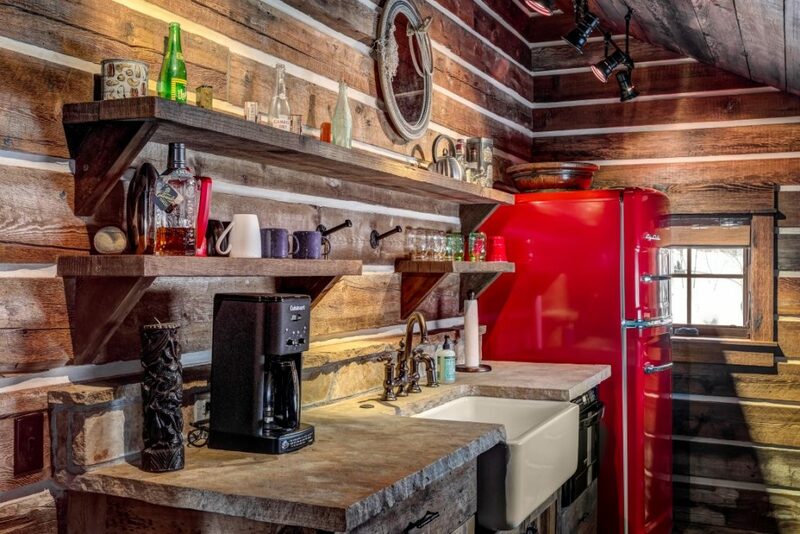 Accessed from a small footbridge crossing a historic irrigation ditch that carries water with rights dating back to the 1800’s, the cabin combines modern comforts with conspicuous nostalgia. Equipment storage is always in demand in snow country; the outbuildings incorporate thoughtful design and roomy, functional conveniences. Two large buildings provide ample storage for class A motorhomes, trucks, trailers, tractors, and every tool and implement imaginable. 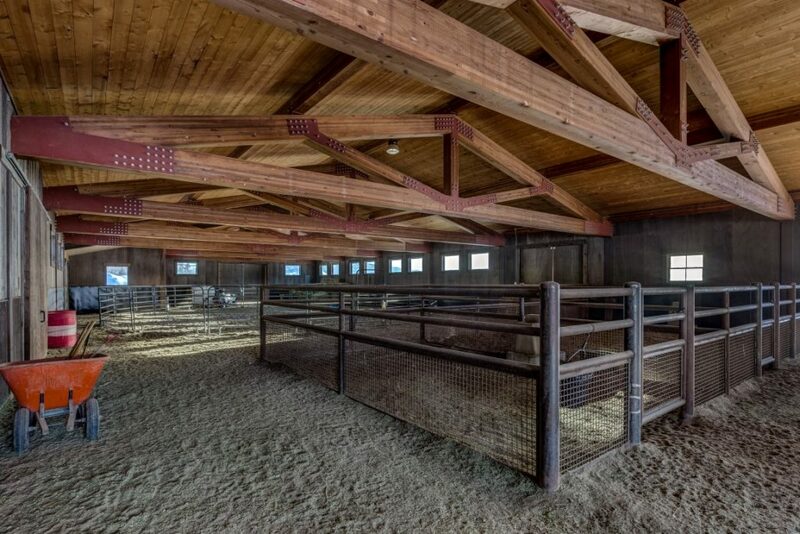 The equine accommodations, constructed after extensive research for best handling facilities, reflect the latest practices for safe horse handling. The outdoor riding arena, large enough for all rodeo-style events is outfitted for roping with cattle chutes. 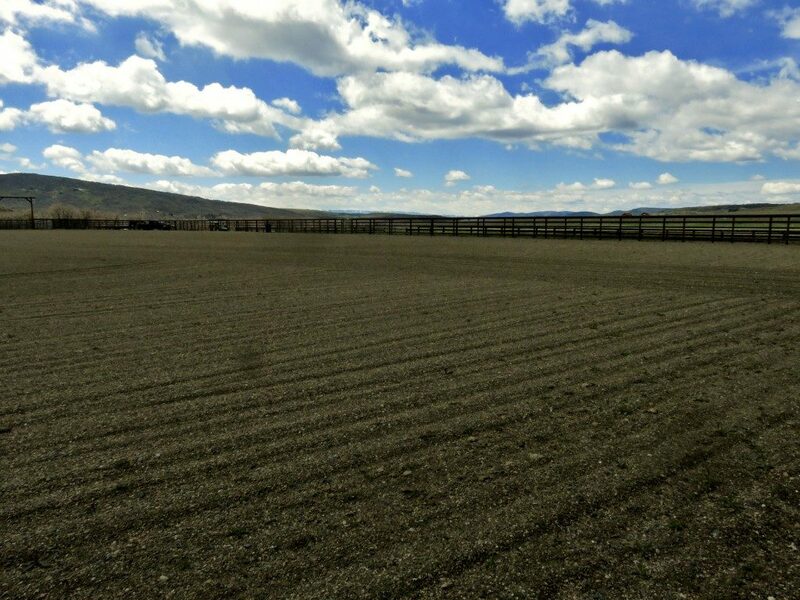 Multiple corrals, a small round pen and hay storage are located in nearly 10,000 sq. ft. of covered barn space. 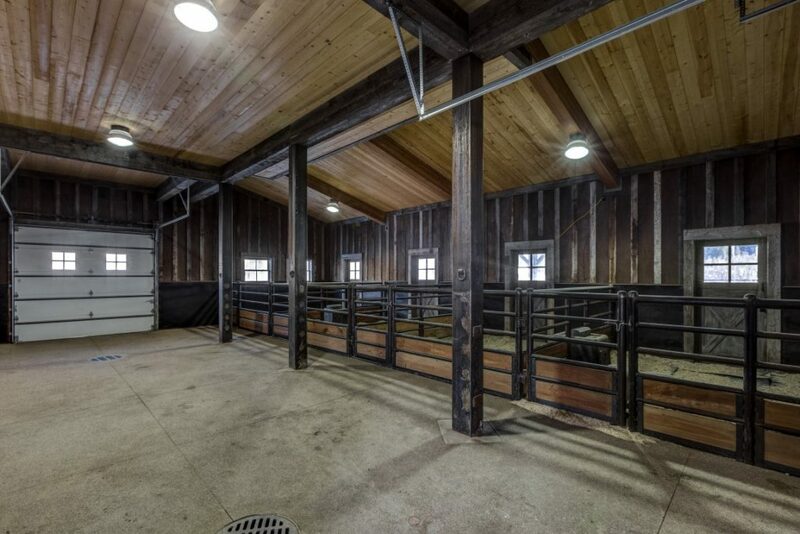 Turnouts, pipe fence, lean-to shelters, tack room, vet room and a chic office/conference room round out the barn area amenities. All streamside, the buildings scattered about the Steamboat River Ranch headquarters are smart, simple, stylish and ideally located just across the bridge crossing the Elk River. Steamboat River Ranch is in the interface of the close-in rural subdivisions, outskirts of town and the vast national forest lands. 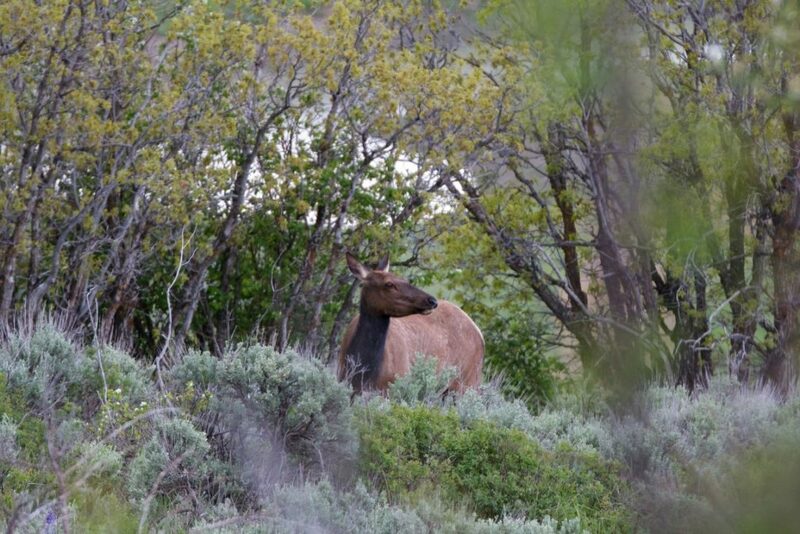 Elk, deer, antelope and occasional bear and moose find sanctuary in the ranch’s protected open space and adjacent riparian corridor. Fishing is excellent on the ranch in the improved Elk River and several high mountain lakes and streams are in the surrounding public lands. 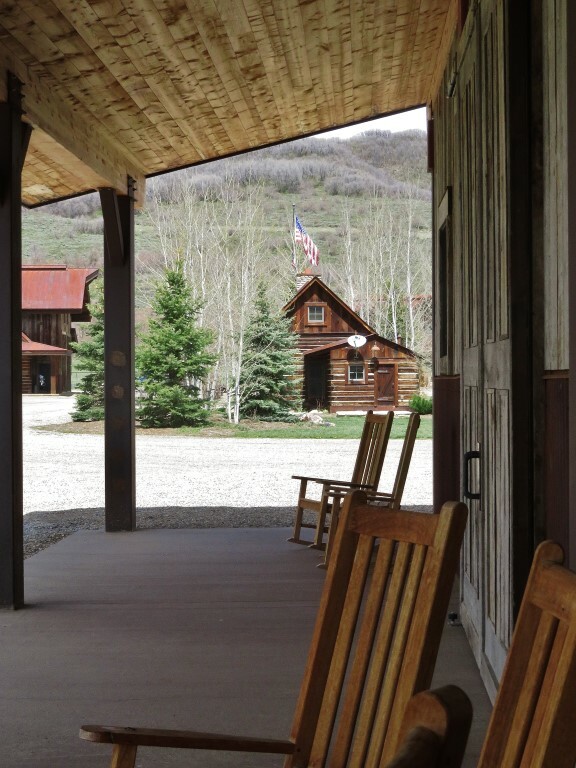 A wide variety of recreational opportunities are easily enjoyed without leaving the ranch and the famous slopes of Steamboat are just a few minutes’ drive. The ranch is currently operated as a working horse and cattle ranch. All perimeter and cross fencing is new and historic water rights irrigate the native grass hay meadows which produce an excellent hay crop every summer. 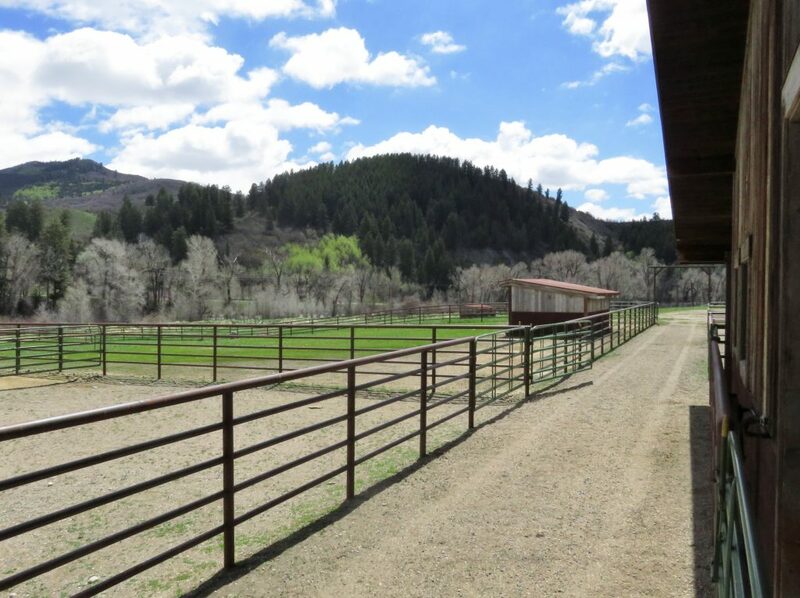 The ranch could run 40-50 head of cattle or horses on a year-round basis with enough hay left over to sell. The irrigated meadows have been used for summer hay production and excellent fall forage. 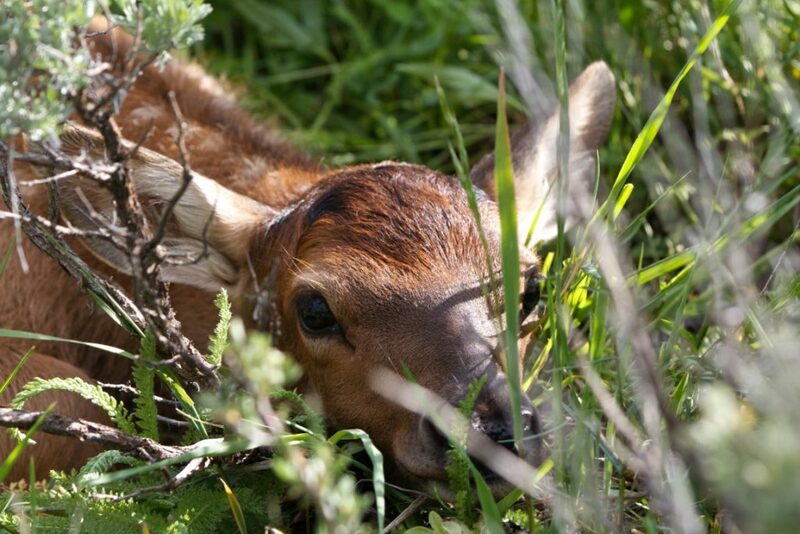 The upland grazing lands support spring and summer grazing for livestock with enough forage for deer and elk. Over 23 c.f.s. of ditch water, some of it adjudicated in the early 1900’s, provides irrigation water and two wells supply the domestic water. Carefully enhanced by a well-recognized company to improve the natural fishery, the nearly 2 mile stretch of the Elk River attracts rainbow, brown, brook and cutthroat trout. This particular section of the river is just south of the confluence with Mad Creek which carries cold, high mountain runoff from the Continental Divide. Nearly all of the 2 mile eastern and southern boundary of the ranch is bordered by the Elk River. 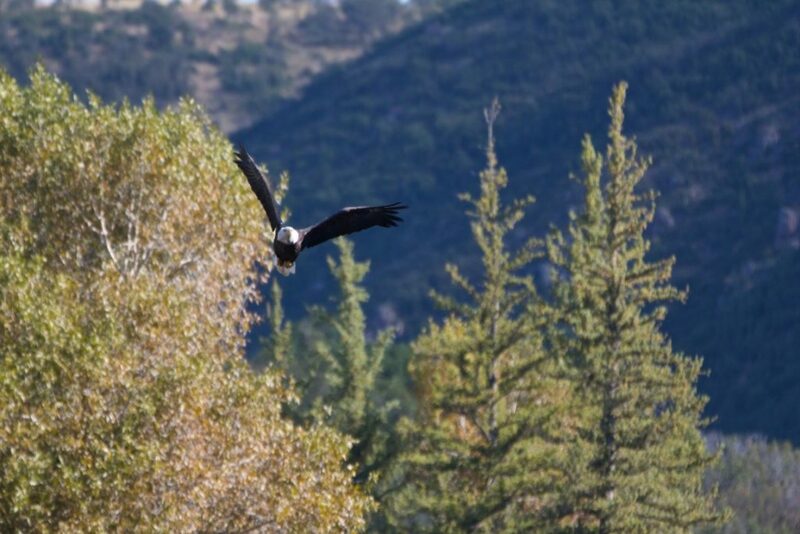 Just outside of the northeast corner of the ranch is the expansive Routt National Forest and Zirkel Wilderness area accessed through the dramatic steep cliffs of the Mad Creek canyon. A small subdivision consisting of 35 acre improved properties is located on the northern and western edge of the ranch. Steamboat Springs, the major service center for the area, is a 5 mile drive. With a population of about 12,000, Steamboat is a friendly resort community that features many attractions and events found in larger towns. The UC Health Yampa Valley Medical Center, constructed in 1999, is a full service acute care hospital. The Bud Werner Memorial Library, constructed following an $11,000,000 voter-approved tax, is a 28,000 sq. ft. state of the art facility. Colorado Mountain College, an established community college, continues to experience growth and success and recently added two 4-year degree programs. The slopes of Steamboat Ski Area, with its recent announcement of acquisition by Aspen Skiing Company, is fewer than 10 miles from the ranch’s front door. The ranch is located in Game Management Unit 214 with the paved county road serving as the dividing line between 214 and GMU 14. Hunting in the Routt National Forest is very good with over-the-counter tags available for bull elk and draw licenses for buck deer and cow elk. All seller-owned minerals will convey to the Buyer. 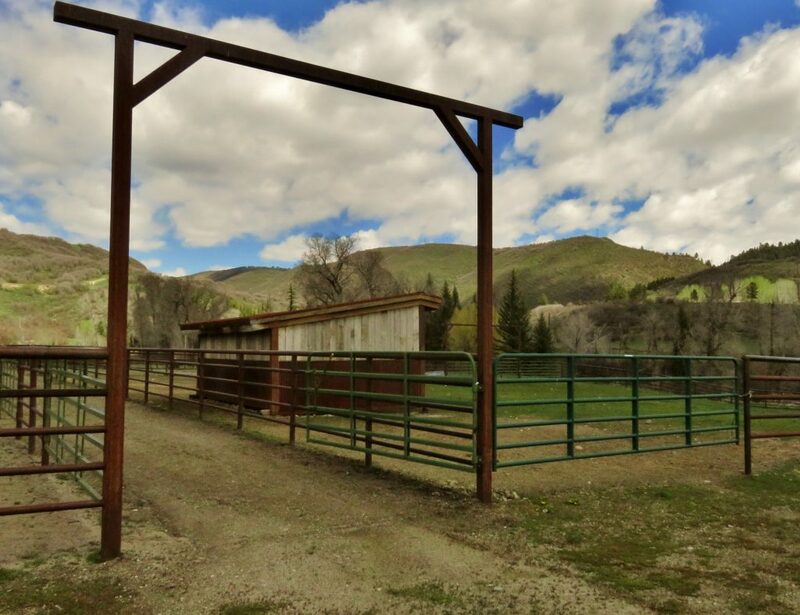 Steamboat River Ranch is the closest large acreage live water property to Steamboat Springs available on the market. Very few properties of this size and quality exist in the area. 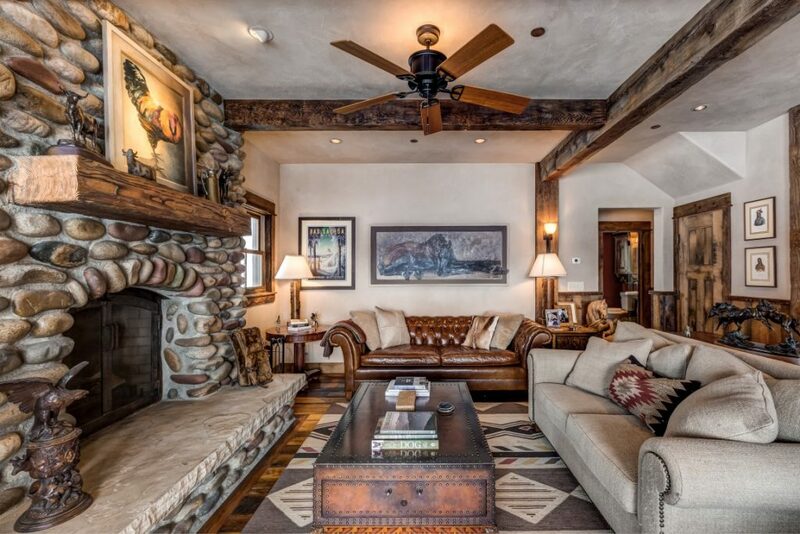 No properties available offer a significant stretch of live water, well designed and functional high-end improvements, national forest access and close proximity to town.